Brooklyn Montgomery, daughter of a well-known criminal, just moved into a new apartment. She needed to be closer to downtown because she landed her dream job of becoming an assistant District attorney. Little does she know that the reason for her new job is because a killer is raining down on New York City. The killer is taking out anyone who looks like her, including the last A.D.A., and covering their bodies with thousands of forget-me-nots. Is this a clue to catching the killer or does the killer want to lead Brooklyn to her demise? Mark Stone, Brooklyn’s childhood friend, is the lead detective in the city. He has been handed the case, but has a limited window until the FBI takes over. While he hunts to find the killer he guards Brooklyn with his life. He knows she has feelings for him, but can the past be overlooked so they can be together after they catch the killer? What happens if they can’t stop the killer in time? 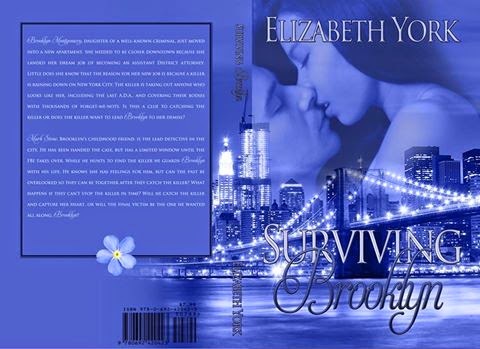 Will he catch the killer and capture her heart, or will the final victim be the one he wanted all along, Brooklyn? I opened to him, and he pressed his body against mine, inhaling the moan that left my lips. All five of my senses were being overloaded by him. I could no longer hear anything but the rapid beating of my heart. I tasted coffee and whipped cream on his tongue as I inhaled his manly sandalwood scent. I looked into his eyes when he pulled away. My body burned with the need to touch him everywhere. “Tell me no,” Mark whispered as he dropped to his knees. I watched in fascination while he untied the bow on my drawstring shorts. I shivered as I watched him pull down my shorts, exposing a pair of black lace underwear. 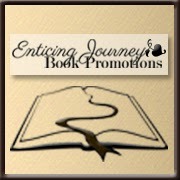 Up and coming author Elizabeth York has been writing for about seven years. Located in the southeast, she spends her days drinking sweet tea on the porch with her laptop in hand. She has devoted her life to her family and her books. With the loss of her Father to cancer in 2010 she makes "Dear Daddy" dedication pages in each book and donates 10% royalties to cancer research. Take the time to get to know the characters and you will love them as much as she does.